On Oct. 22, Northside’s Women’s Volleyball team had its regional finals against North Grand. Throughout the entire day, the volleyball team showed no fear and was sure that the win would come easy. Although the game was late and began at 6 pm, several students and parents showed up to support the Lady Mustangs. Due to IHSA regulations, many students such as Yale Kolin were kicked out for not paying the five dollar admission fee. As people started to leave instead of paying the price, the team showed no shakiness and remained confident that they were going to win. Even from the stands, you could tell how excited Northside was for the game. The team had high energy throughout their warm-ups and focused on communicating with each other. The game started with Esther Huescas (Adv. 911), Caroline Merck (Adv. 901), Sarah Buttita (Adv. 000), Melissa Suarez (Adv. 906), Lily Root (Adv. 002), and Abbie Smith (Adv. 902) on the court. North Grand showed confidence but appeared like the weaker team. At first, North Grand was shown as a good competitor but Northside quickly began to dominate. North Grand was up for the first few minutes of the match, confusing everyone watching. As the match continued, it was more than evident that Northside would dominate. 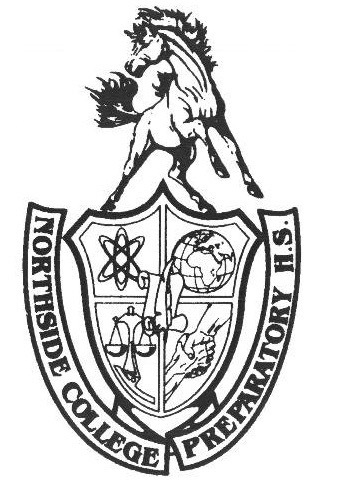 Northside won the first set 25 to 9, showing no mercy. The team worked well together, communicating both on the court and the sidelines. There was rarely any silence as the team either encouraged each other or were calling out for the ball. It looked like an easy win for the Lady Mustangs. Only one more match win was needed before they would move on to regional semi-finals. Unfortunately, despite their dominance against North Grand, the Lady Mustang’s season came to a quick end the next day. Northside had its regional semi-finals against Montini and were defeated. Montini has been known to be state champions, but Northside put up a strong fight. Although the Mustangs knew that it was more than likely that they were not going to win, they gave it their all to end the season on a high note.